Sraz se konal ve čtvrtek 24. května 2018 v 19:30. Májové pyvo bude v netradičnom termíne, o týždeň skôr než tradične. Pyvo in May will be a week earlier than usual. 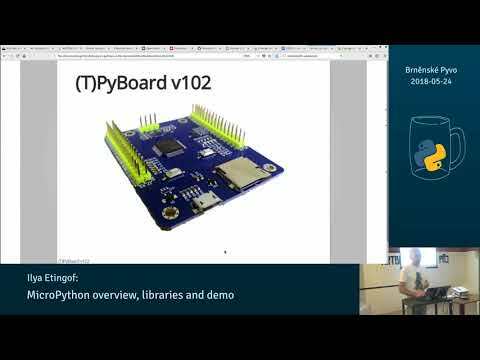 In this presentation we will poke at MicroPython hiding deep in the silicon jungles of the PyBoard and ESP8266 microcontrollers. We will check out the core libraries that the platform offers and play with simple scripts to learn the development work flow and system APIs. The show's going to happen on-stage, unless the boards let their blue smoke out before we get that far.